Star buy Unit! Freehold! NS Facing Beautiful landscaping within the development! Call Philip +65 97567--- for viewing at the site now. Call 8 6 0 6 9 - - - for viewing. Well Maintained Unit! Move in condition! Mins walk to MRT. Near good schools. New list! Well renovated! See to believe! Serious seller! 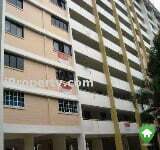 Amenities and MRT Call Philip @ 97567--- for viewing now. ...eateries. Near to Pierce Reservoir. Serious seller For viewing, please call Eva at 91451--- (hp). D20. Ang Mo Kio / Bishan / Thomson, Terrace. 3NG Amk Blk 346 2 bedrooms with utility room Near amenities and walk to Amk hub/ Mrt Only Indian and Malays eligible for this month of May 2018.